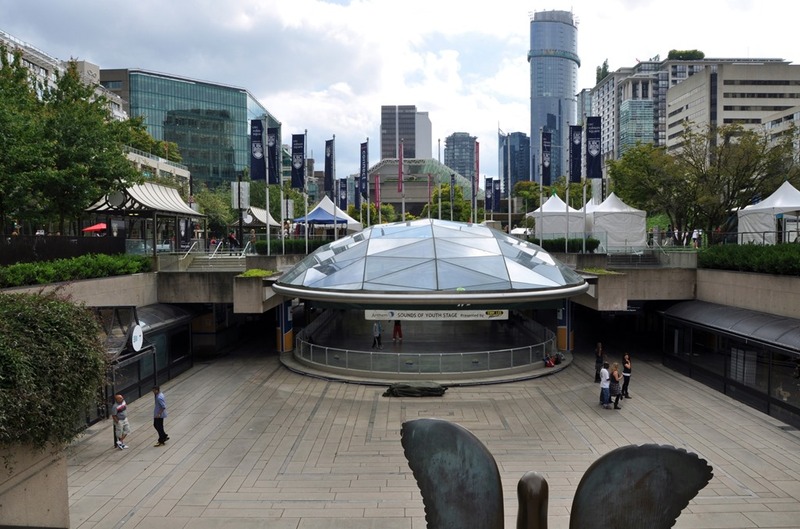 This entry was posted in Life, Photography, Travel, Writing and tagged dancing, festivals, Robson Square, Vancouver Art Gallery, Vancouver BC. Watching these talented young people, as well as several other groups was a real treat. What a way to spend a spare hour in downtown Vancouver while we waited to attend the wedding of a dear friend’s son. Robson Square rocks!